Home » Category "Yarn Count"
In other word count can be defined as , the numerical values which expresses the fineness or coarseness of yarn. It indicates the relationship between length and weight also. The length of a fixed weight of yarn is measured. The length per unit weight is the yarn indirect count. General features of all indirect count systems are the weight of yarn is fixed and the length of yarn varies according to it’s fitness. In indirect count system weight is fixed. Lower yarn number coarser the yarn. English count indicates how many hanks of 840 yards length weighs one pound. That means, if count 40 Ne, then it means 40 hanks (bundle) of 840 yards will give 1 pound weigh. Here count 40 Ne means, 40 bundle of yarn with 840 yards length will be required to get 1 pound weigh. Count is a numerical value which is used to express the fineness or coarseness of the yarn. yarn count also indicates the relationship between length and weight of the yarn. So, as definition of yarn count we also can say yarn count has been introduced as a certain ratio of length to weight or weight to length. There two types of yarn count system. They are as follows. 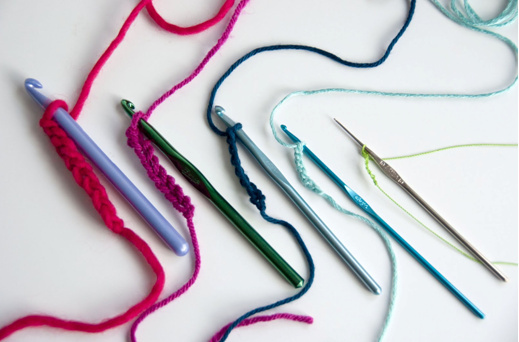 Direct count is determined by the weight of a fixed length of yarn. The weight per unit length is the count (direct count). 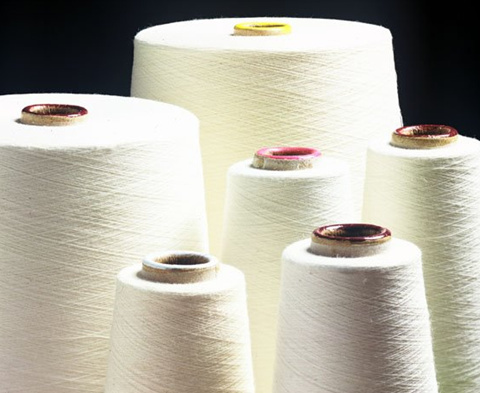 The common features of all direct yarn count systems are the length of yarn is fixed and the weight of yarn varies according to its fineness. In direct count system Length is fixed. Lower yarn number finer the yarn. l = Unit of length of the sample. As I have given the definition above, now here I am going to present brief definition of above direct count system. Tex system : Number of grams per 1000 meters. Denier : Number of grams per 9000 meters. 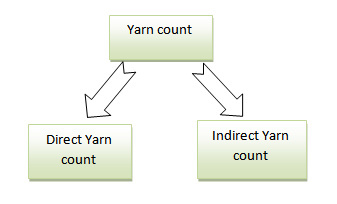 Now I am going to disscuss about direct yarn count system with an example so that we can understand it more clearly. 35 Tex means 1000 meters of yarn weigh 35 gram. If 1000 meter long yarn gives 35 gram weight then it is called 35 Tex. Hope it is clear now. Wish it was helpful. Now I am going to ask you some question about direct count system. Try to solve these questions by yourself. Or, you can also give your answer as comment below the post. I will discuss about these following question in my upcoming post. If you have any other question never hesitate to ask me. English count indicates how many hanks of 840 yards length weigh one pound. That means if count 40 Ne Than it means 40 hanks(bundle) of 840 yards will give 1 pound weight. Why calculation: Most of us are fear from count calculation. But we should have a common sense of calculation to be good textile personnel. On one cone there are 9800 m yarns which weigh 490 gm. What is the English count of this yarn? 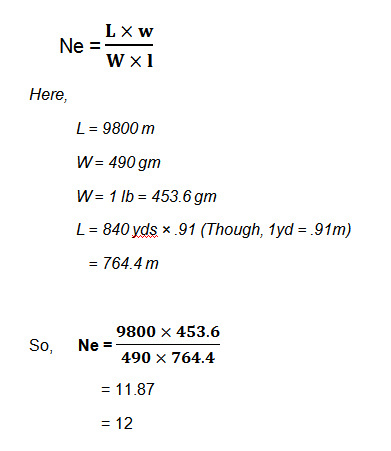 So, Here count 12 Ne means, 12 bundles of yarn with 840 yards length will be required to get 1 pound weight.